In a relatively short amount of time, the Internet has moved from an occasional tool to one of the principal ways we communicate, entertain ourselves, and do work. And all that time we spend online has to come at the expense of something else. 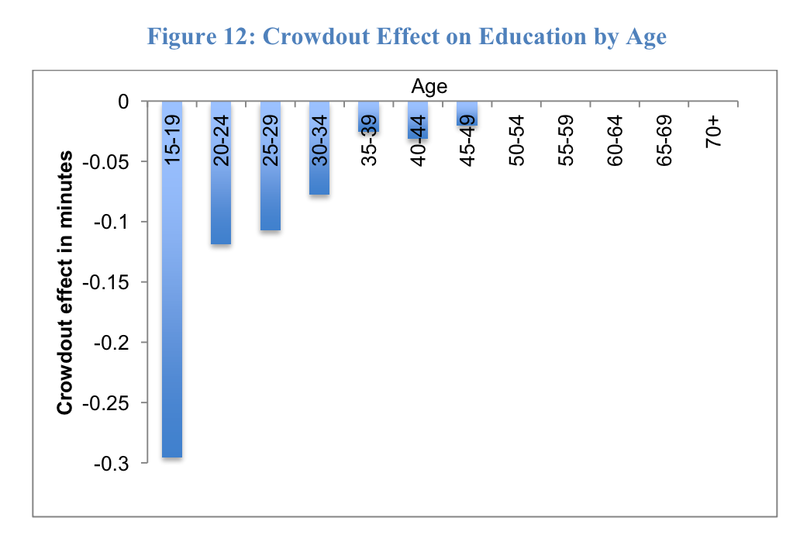 A new NBER working paper from the Technology Policy Institute’s Scott Wallsten takes a look at what we’ve stopped doing as we’ve become more and more Internet obsessed. Basically, it examines the opportunity cost of time spent online. 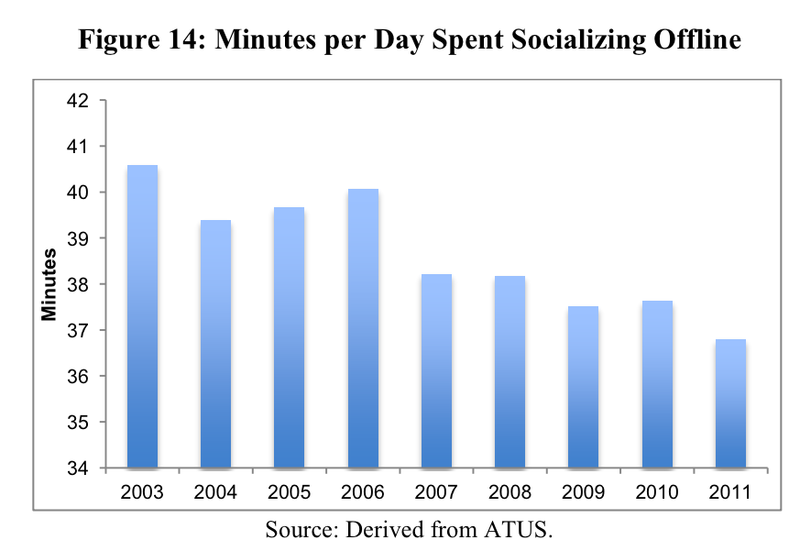 On the more obvious side, we spend less time watching TV, socializing offline, relaxing, and thinking. 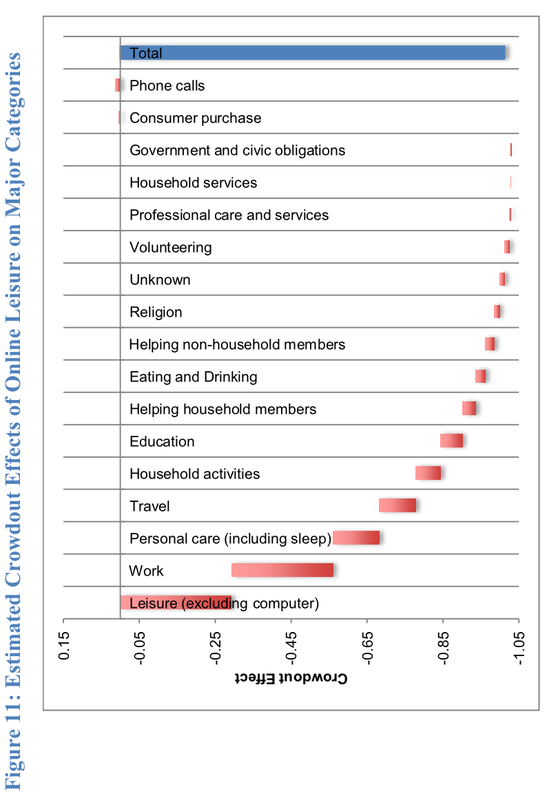 But leisure time online also comes at the expense of work, sleep, and education. It’s not easy to make a blanket statement that these effects are positive or negative. But it is clear that all of that extra time online comes at a cost to other activities. That makes it exceptionally difficult to figure out how much of our time on the Internet boosts productivity versus sapping it.